Kamaz wants to boost its presence in Southeast Asia. Last week, the director-general of Russia’s biggest truck manufacturer, Kamaz, said that the company plans to boost the export of its trucks to Vietnam as part of a broader move to expand its presence in other Southeast Asian markets. KAMAZ Director General Sergey Kogogin told Russian state-owned TASS news agency that the firm plans to expand its presence in Vietnam, with a view that more Kamaz trucks could also be then supplied to neighboring ASEAN countries such as Laos and Cambodia. Kogonin’s statement that KAMAZ intends to boost its Vietnamese presence is no surprise. KAMAZ has had a long relationship with Vietnam, with the first truck delivered to the country back in 1979. And Vietnam’s attractiveness as a country has only grown in recent years, with it becoming the top export market for KAMAZ last year, when the Vietnam and the Eurasian Economic Union (EAEU) inked a free trade pact. Kogonin said that in 2016, KAMAZ exported 1,855 trucks to Vietnam – which constituted a fifth of its overall exports – and that around 30 percent of that went to the Vietnamese military. Kogonin’s emphasis to TASS that KAMAZ’S policy is “aimed at long-term presence [in] the Vietnamese market, seen as a strategic one in the Asia-Pacific” is also not entirely new. 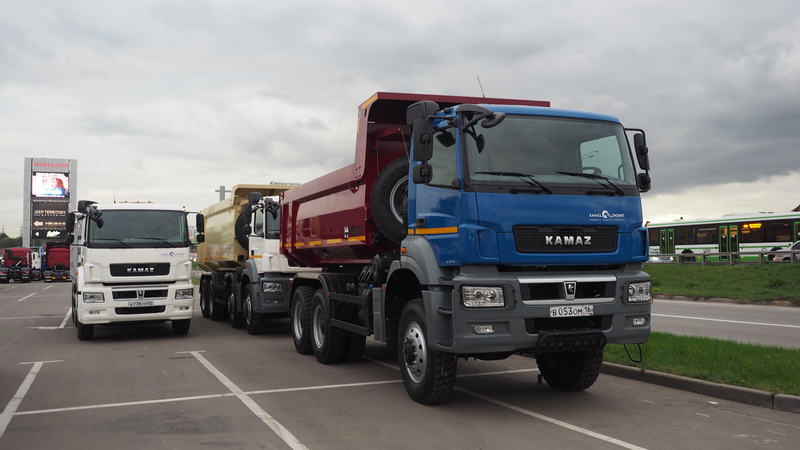 The economic difficulties in Russia and Central Asian markets mean that KAMAZ has had to look elsewhere to boost exports, and booming Asian markets like Vietnam and India have been a key part of this reorientation. But it is still unclear how exactly KAMAZ would make greater inroads into Vietnam, and how successful it will be. Kogonin said KAMAZ was thinking about boosting production facilities that it had established in Vietnam to add to its capabilities, and that it was in the process of analyzing prospects before determining its further strategy with respect to Asian markets. In fact, though KAMAZ has had joint ventures in Vietnam in the past that had helped it boost vehicle sales, progress had been slow and some previous moves to expand this further had been met with frustration. Conditions in place in Vietnam as well as the presence of other competitors in certain parts of the market have proven challenging previously and are likely to remain so in the future as well, despite recent inroads. If KAMAZ does end up going forward with the plan, however, this could have effects not just on its prospects in other Southeast Asian markets, but for its role in Vietnam as well. For instance, some have speculated that improvements in its business model could increase the attractiveness of its products relative to other rival brands in Vietnam, including those from China that already face issues such as quality.